Today’s recipe is my favorite go-to for pot roast. I have been making this dinner for years. 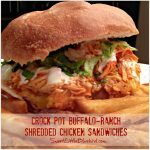 It’s super easy to throw together, full of flavor, perfect for a busy day. Only five ingredients! When chuck roast is on sale, this is on the menu. 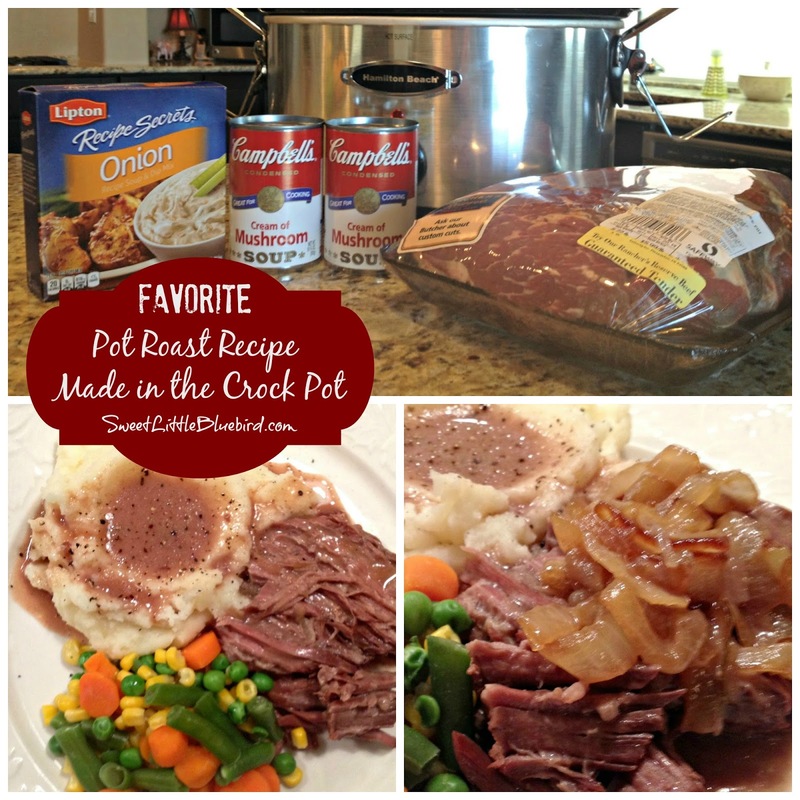 It makes the BEST chuck roast pot roast and it’s all done in the slow cooker! 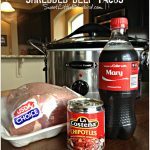 Below is all you need, plus some water and salt and pepper…you don’t even need to brown the roast before popping it in the crock pot. If I have time, I will brown it (adds more flavor), if not…it still turns out wonderful. 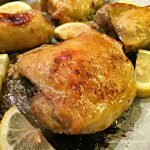 What is great about this recipe is you can tweak it to your liking. *Not a fan of canned soups and packaged dry onion soup mixes? I share links below to easy recipes to make your own homemade condensed cream of mushroom soup and dry onion soup mix. 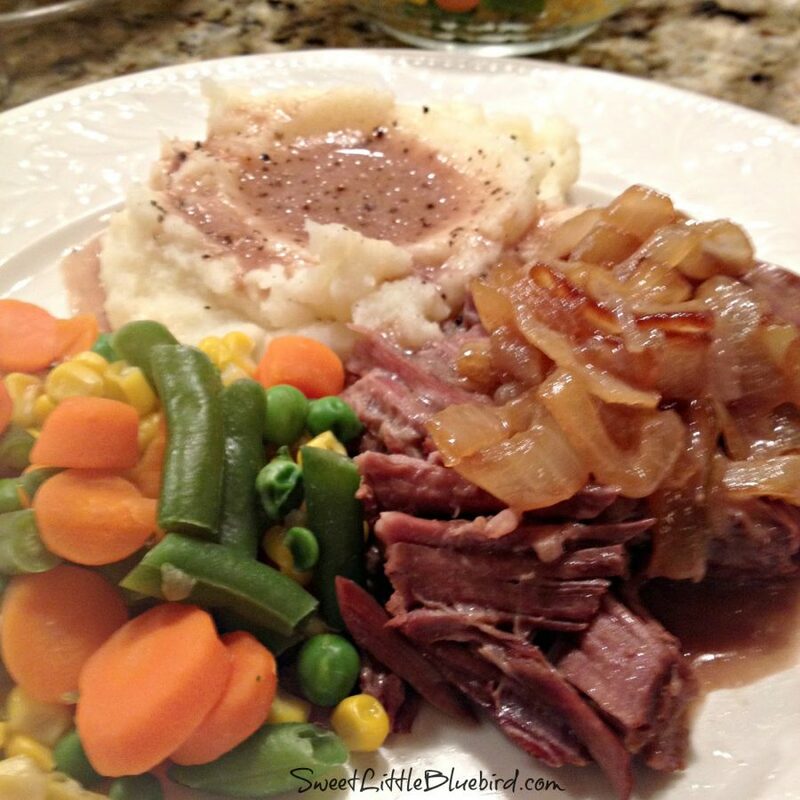 I always serve my pot roast with caramelized onions – delicious! The gravy from the roast is wonderful over mashed potatoes. Lightly spray crock pot with non-stick cooking spray. Place roast in crock pot and season with salt and pepper or your favorite seasonings. In a medium size bowl, mix soups (can and dried) and water and pour mixture evenly over roast. Cook on low for 8 hours or on high for 4 to 5 hours. 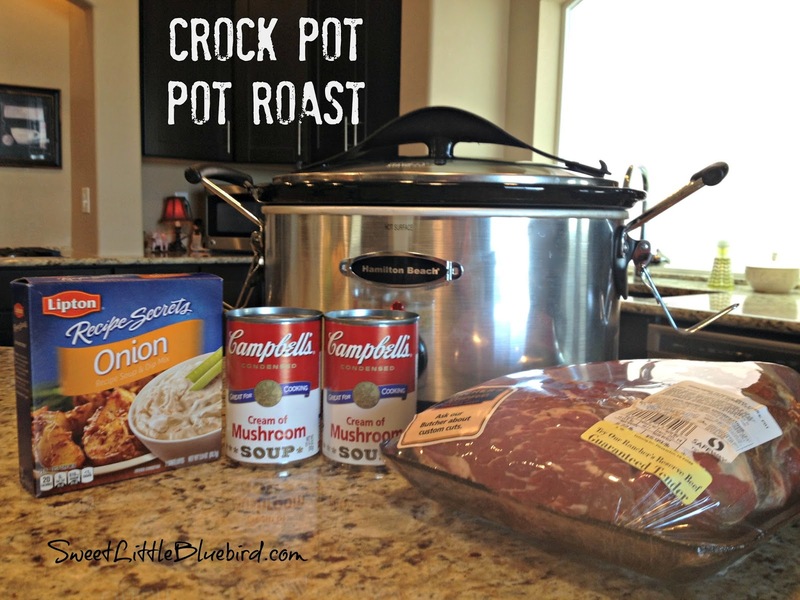 Each crock pot cooks differently so you may need to adjust cooking times. Serve with your favorite potatoes and veggies. The gravy from the roast is wonderful with mashed potatoes. Enjoy! Browning the roast before placing in the crock pot adds wonderful flavor. Also, if you had red wine, I highly recommend replacing 1/4 of cup of water with wine – it’s wonderful! For leftover roast beef sandwiches, try my Grandpa Kelly’s Famous Horseradish Cheese Spread recipe! Just 4 ingredients, simple to make, so good. Do you have a good gravy from the roast recipe to go with this? Yeszenia – the roast makes it’s own gravy, so no need! The gravy is what makes the roast so good. This is so good! And my super picky husband likes it too. I use a bit of wine, as suggested. Browning and adding red wine takes it to the next level. Thrilled you enjoyed this old school recipe, Erica! 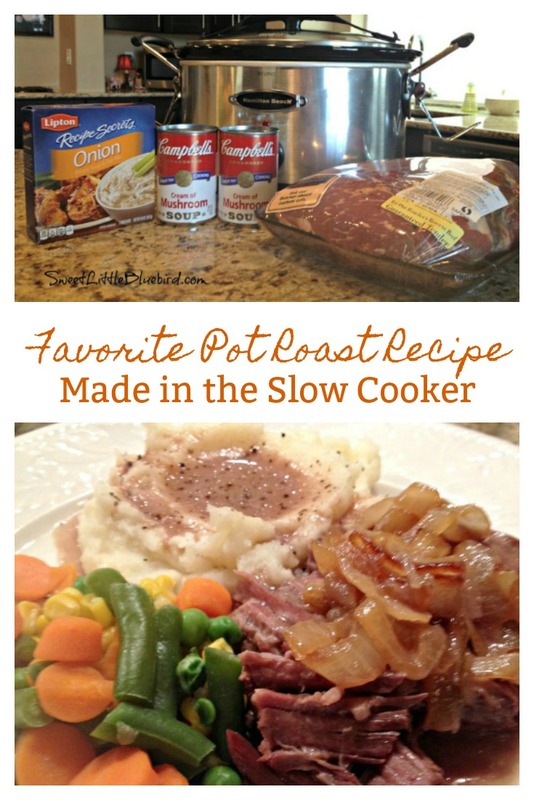 This is the best pot roast! Delish! Thank you so much. Good recipe for the meat. But when do you put in the vegies for best tenderness. 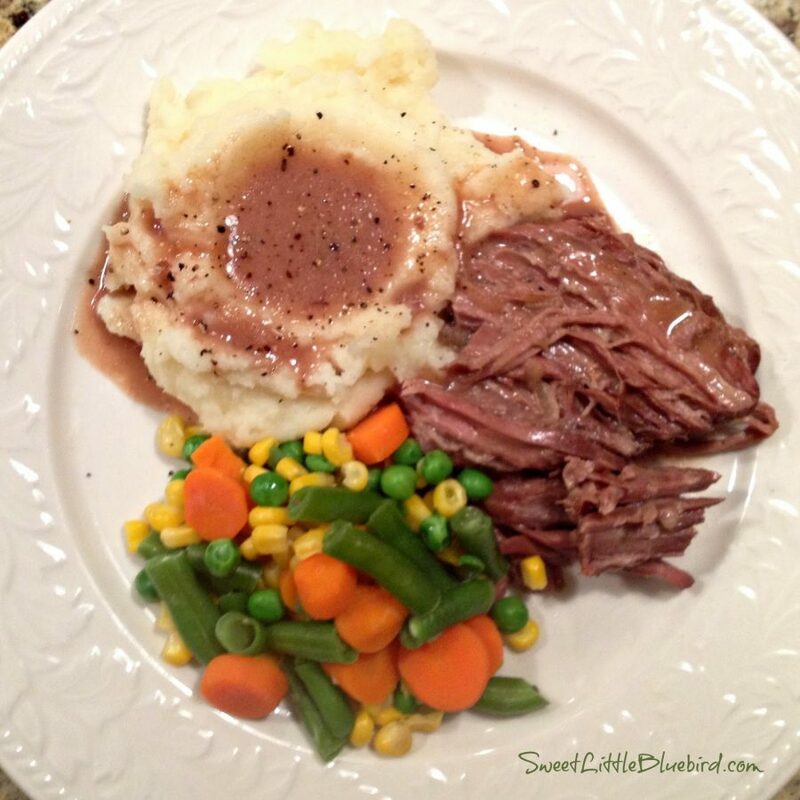 I have a 2.6# roast how can I adapt your recipe & cook time for my roast? 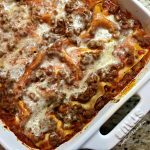 Made this recipe! It smells and tastes delicious. Very easy to make. Added carrots and potatoes in the last hour and everything came out great! Can you put potatoes and carrots possibly fresh mushrooms in here also? Would you need to increase the liquid?